This morning I filed a Freedom of Information Act lawsuit that asks a federal judge in Brooklyn to order the FBI and U.S. Department of Justice to release records concerning the murder of former Democratic National Committee employee Seth Rich. With help from several supporters, I’ve organized The Transparency Project, a nonprofit corporation headquartered in Texas. 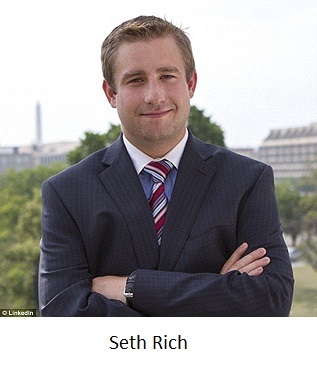 If you want to support the Seth Rich litigation, you can find out how at Tproject.org. The website is a little primitive, but I plan to update it soon. I suspect we will soon be filing another FOIA lawsuit, this time because of the FBI’s failure to release records related to the Hillary Clinton email investigation. The Bureau made national headlines last year when it refused to release records about Mrs. Clinton on the grounds that there was “no public interest” in the subject. That decision was reversed by the Justice Department, but the FBI still has not released the records that I requested. Meanwhile, I’m still waiting for Arkansas officials to decide whether to act on my bar grievance against Mrs. Clinton, and I suspect that case will also result in a lawsuit. If you want to support any of these causes, go to Tproject.org.